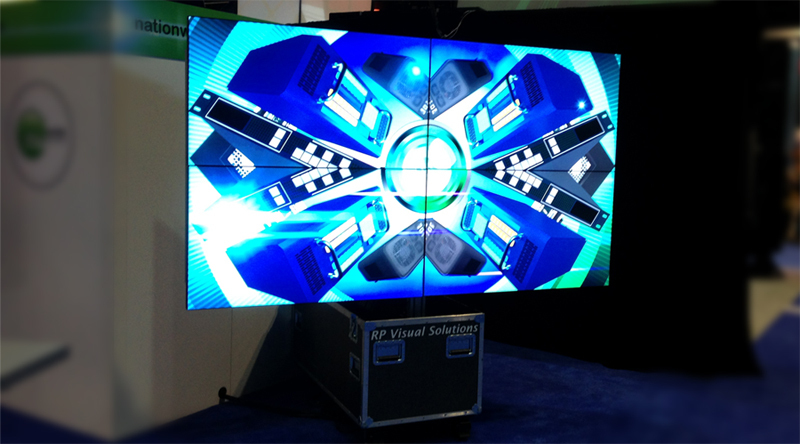 The Mobile Matrix (Deployable Matrix VideoWall) for flat panels or LED is the industry’s first portable, deployable mounting solution, making it perfect for Rentals, Tradeshows, and Portable VideoWall applications. Also, semi-permanent installations allow flexibility for Future changes. The Mobile Matrix comes pre-assembled, and ships in its own durable road case. The Mobile Matrix’s design is ideal for quick set-up and tear-down. Once set up, the bottom of the panel has a minimum height of 29" from the floor, with a maximum height of 42” when fully deployed. Once in the fully raised position, the dual panel doors can be swung open to either a flat 180 degree orientation, or positioned anywhere in between, enabling the system to be powered up for use. To expand the wall horizontally, simply add as many Mobile Matrix units as desired.